Four Seasons Community School is an open concept space, where the children all work and play together in a child centered, teacher-guided environment. 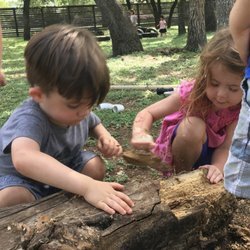 Our ideology and approach is inspired by Tools of the Mind and Reggio-Emilia, both of which encourage collaborative learning with a common purpose. In order to maintain a balanced community, class placement is based on schedule requirements and developmental readiness.